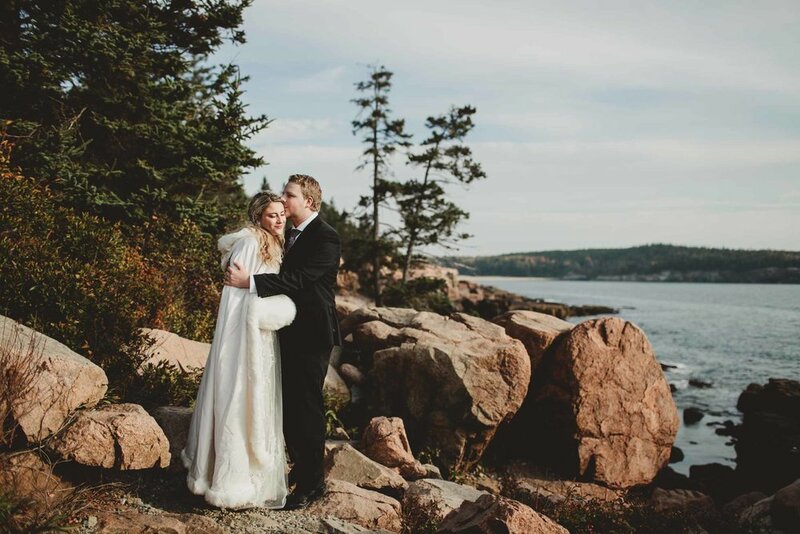 It's official - my favorite place and time to shoot is Acadia in the fall. 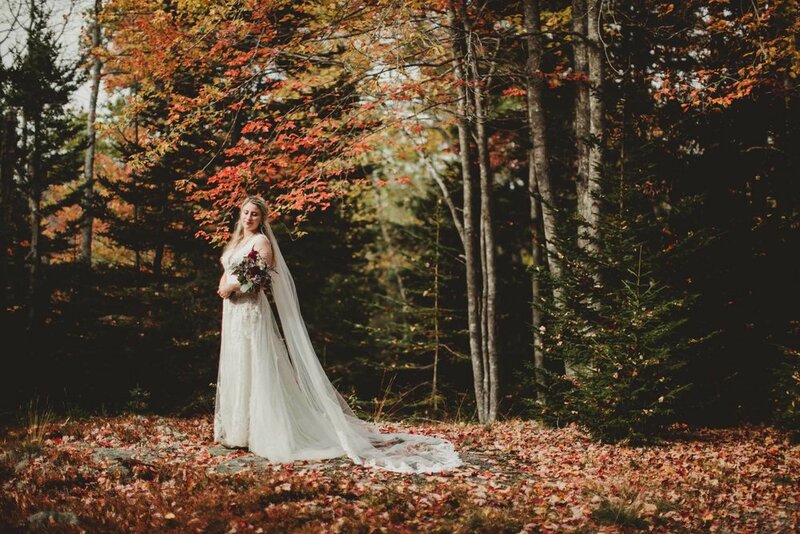 Chilly days make for a much quieter park, and the colorful foliage is just to die for. 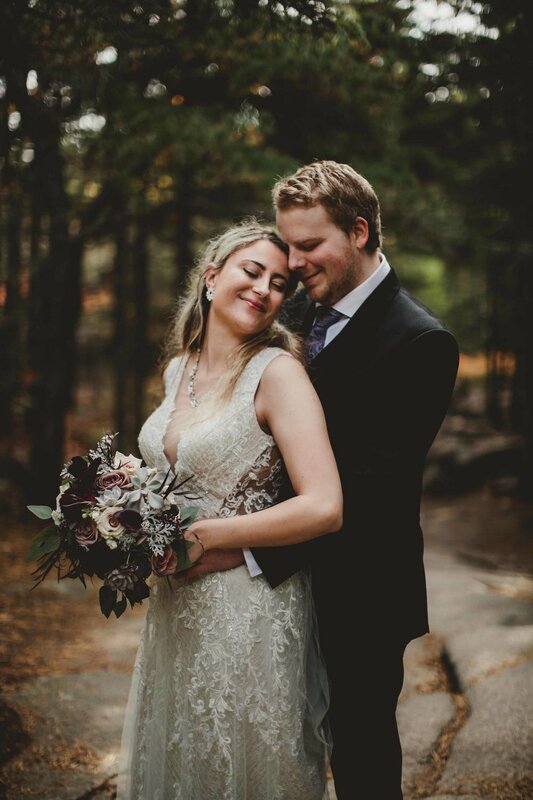 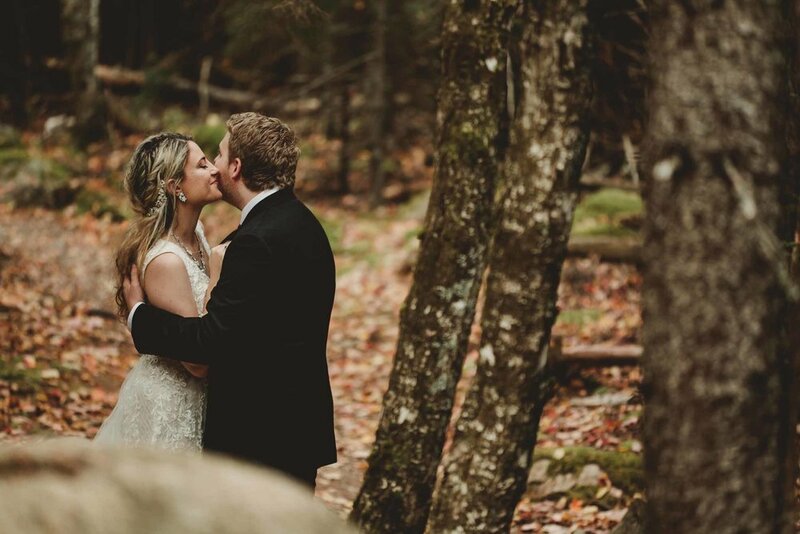 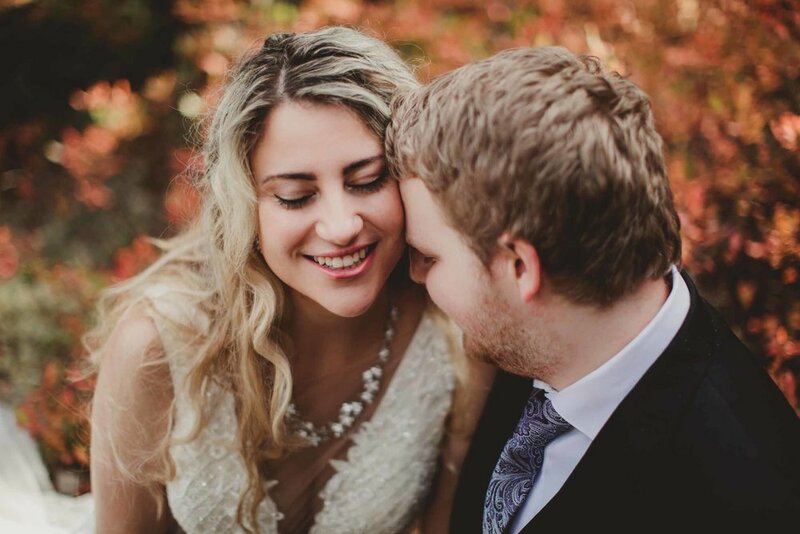 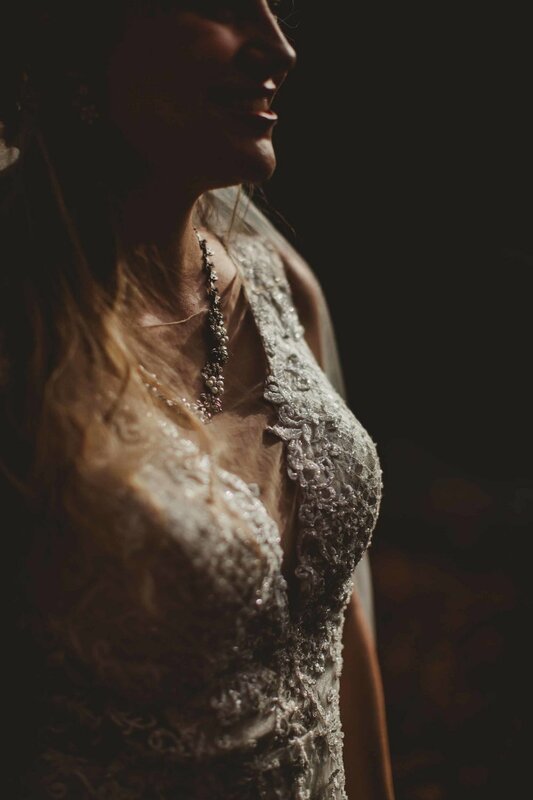 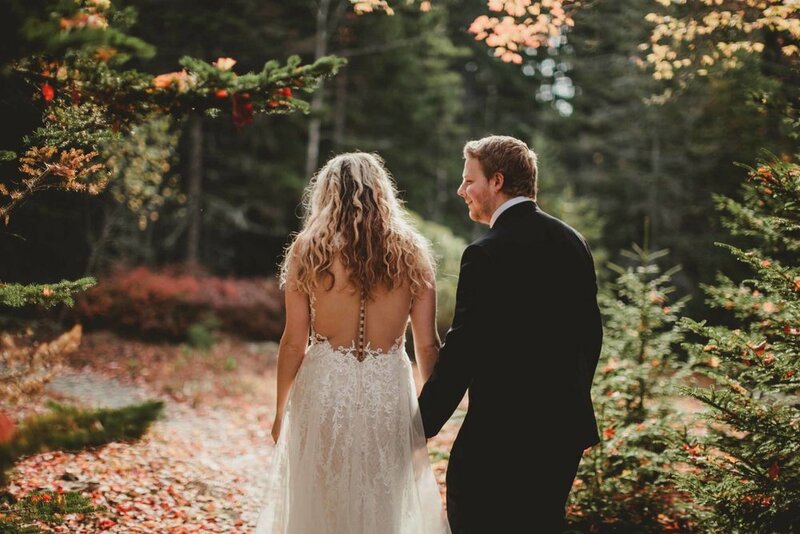 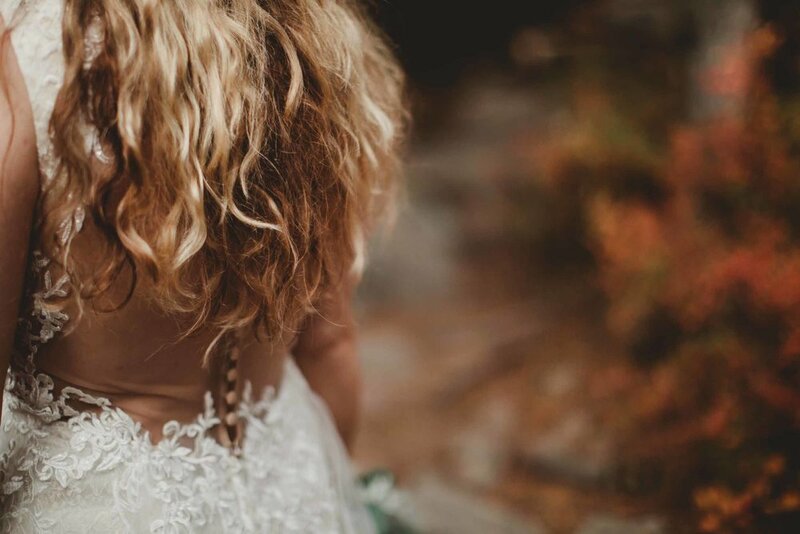 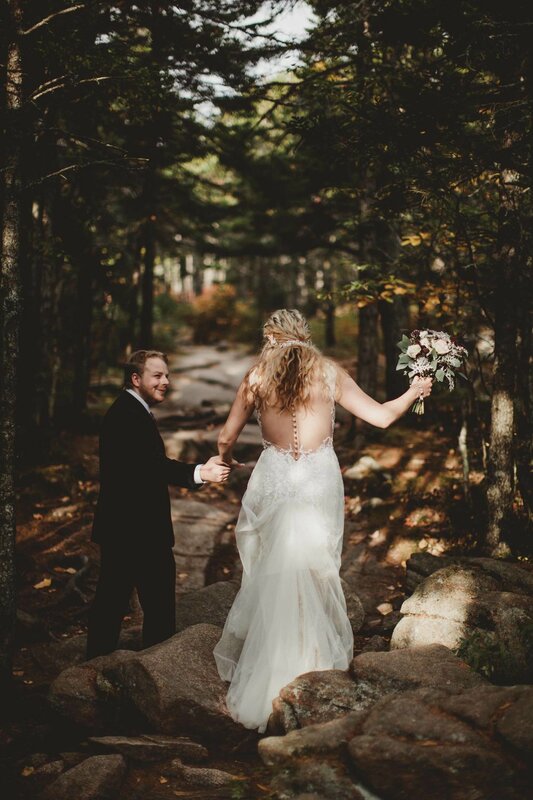 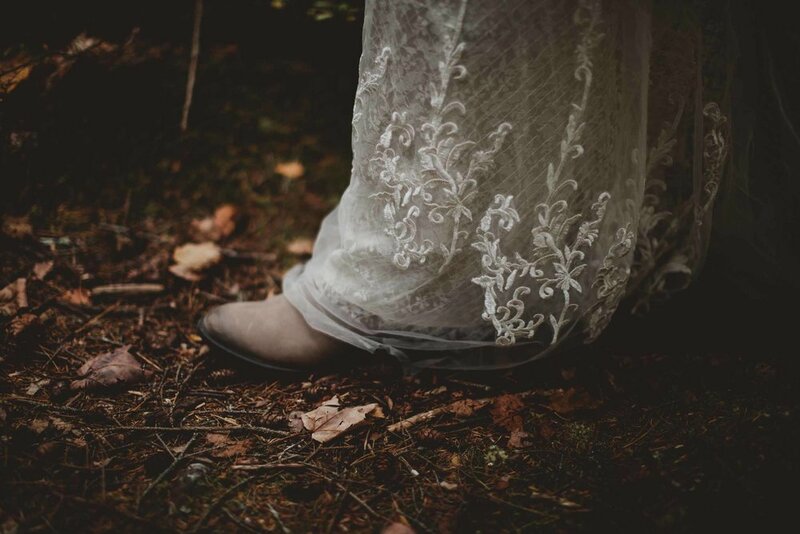 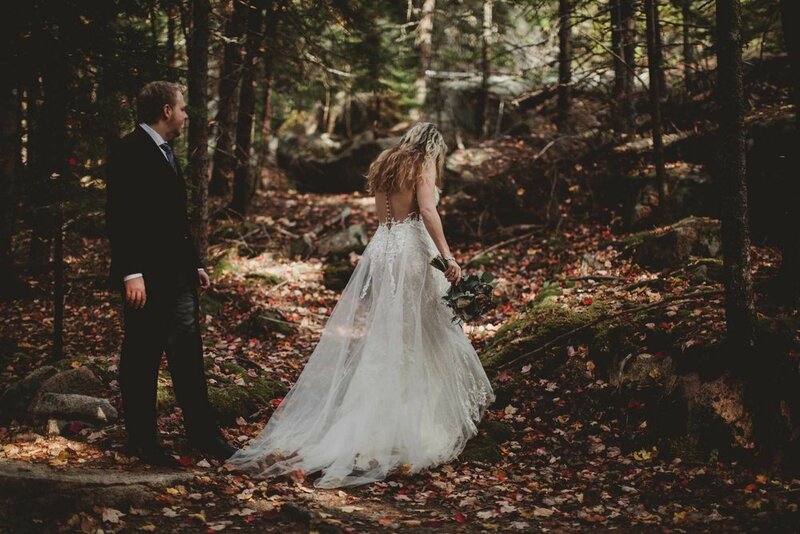 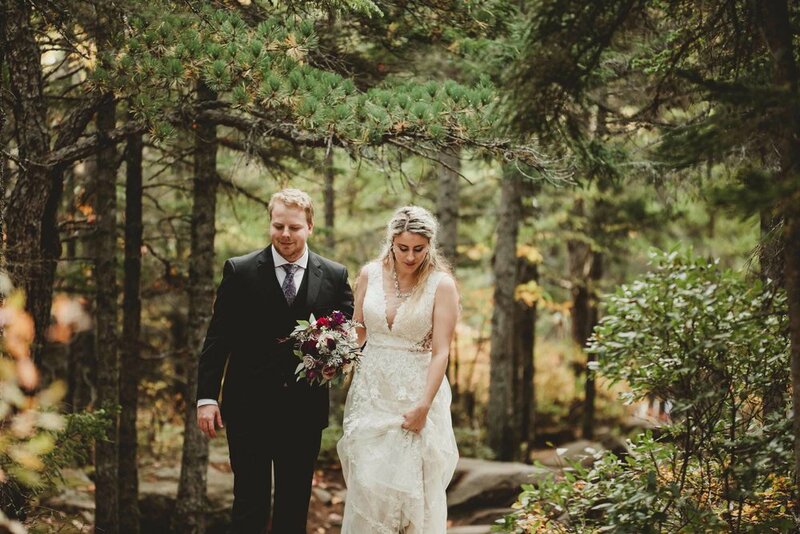 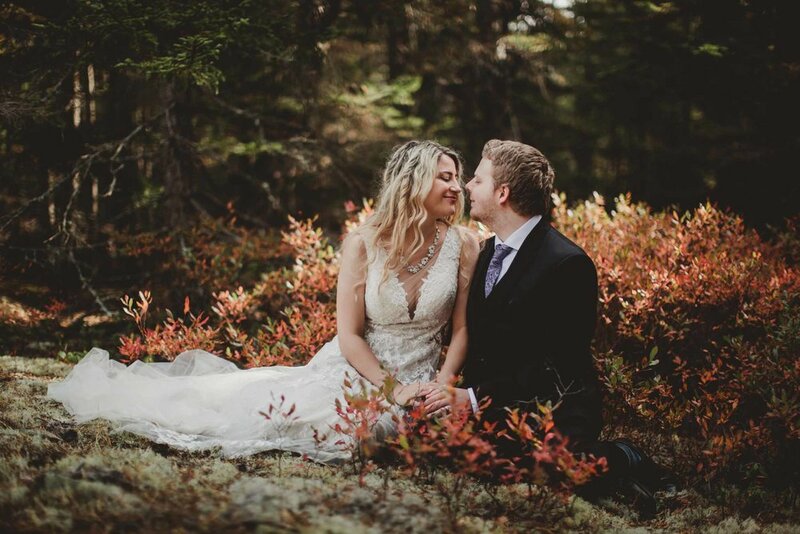 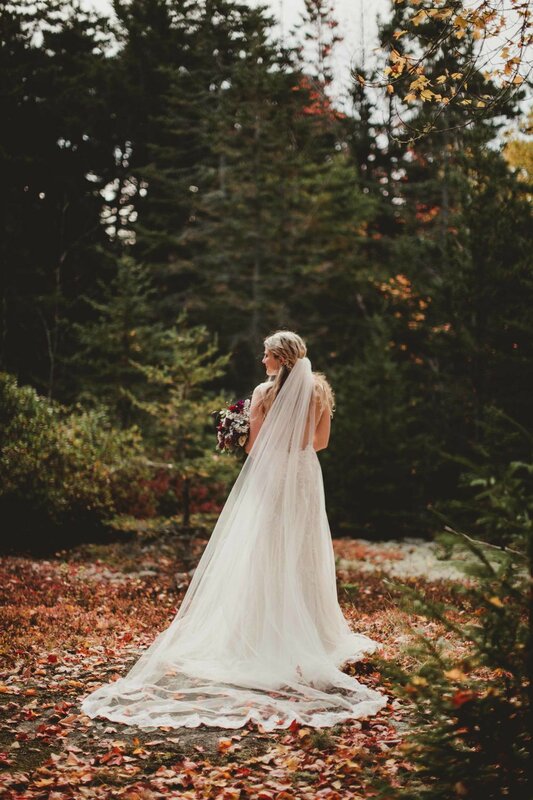 When Brianna & River hired me to photograph their Bar Harbor wedding last October, I was fortunate enough to convince them to explore Acadia with me the next day. 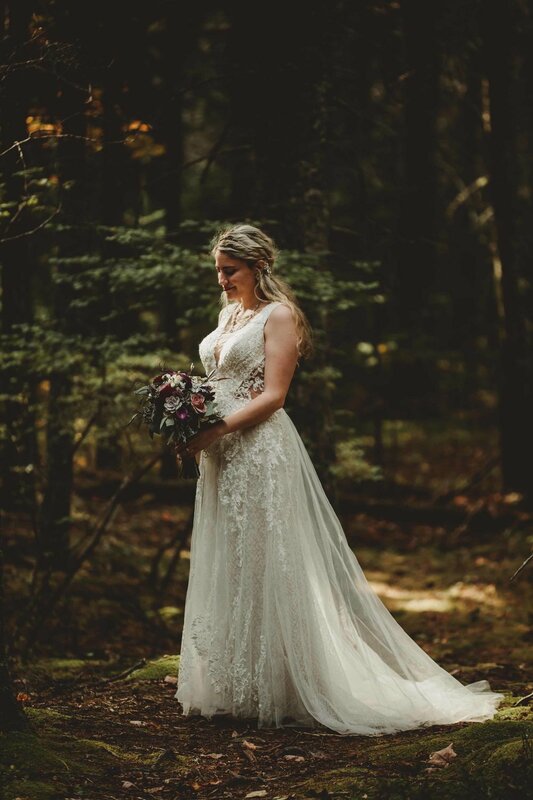 I think my heart would have broken if they'd declined! 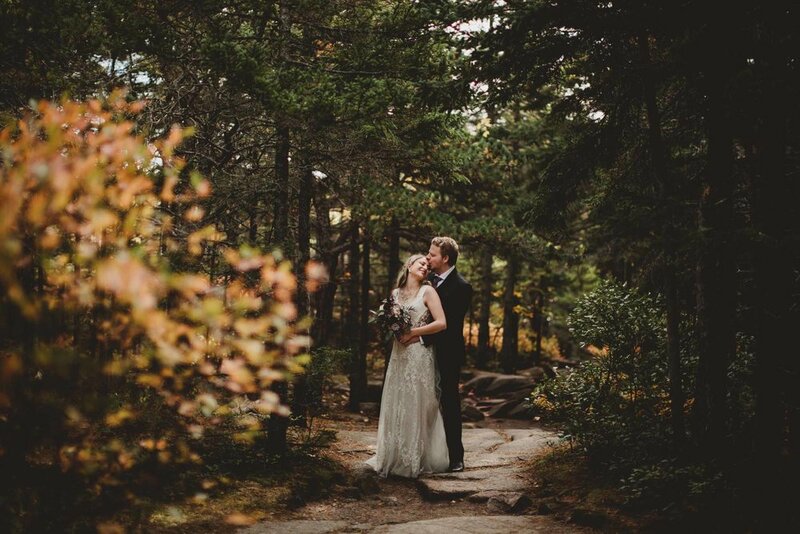 These two were so gorgeous and glamorous, but still so willing to explore, sit down in the woods, let their hair down, and just have a fun time together. 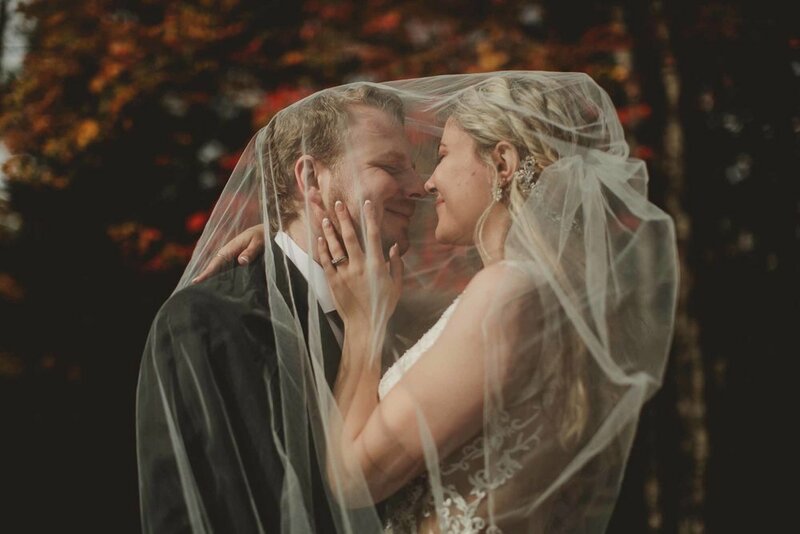 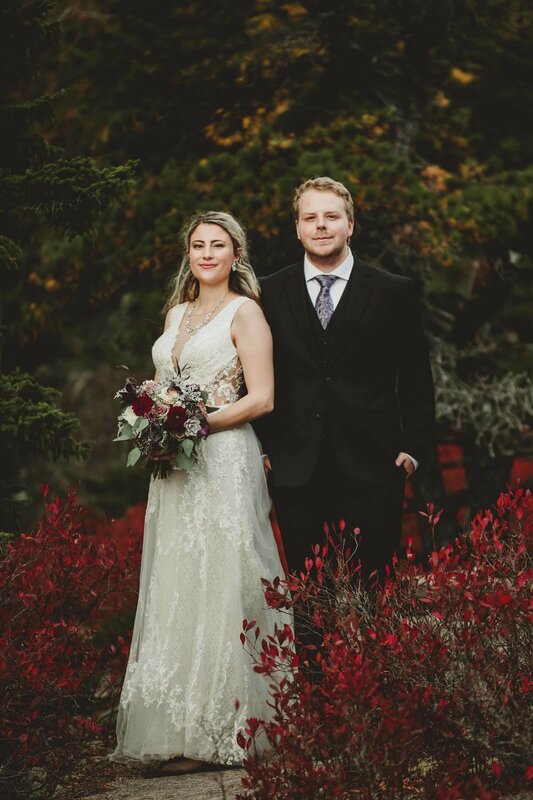 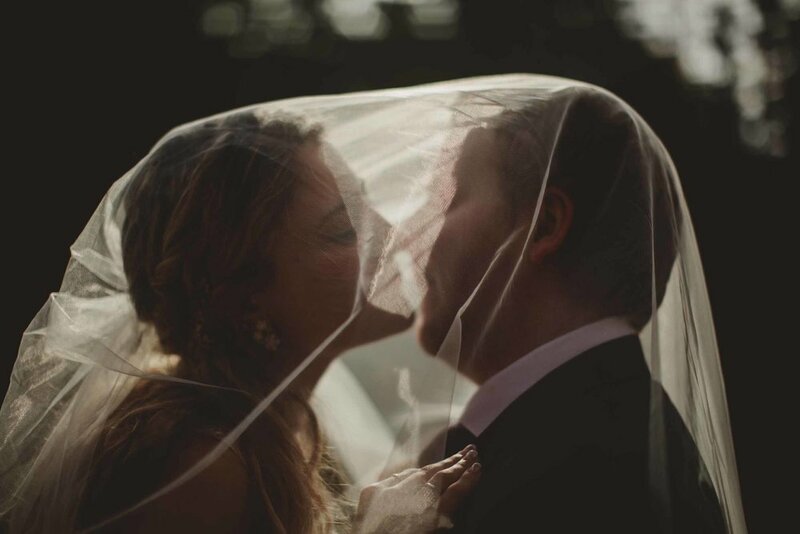 They were definitely more into posing than my usual couples, and that made for some amazingly lovely images that I would never have gotten otherwise! 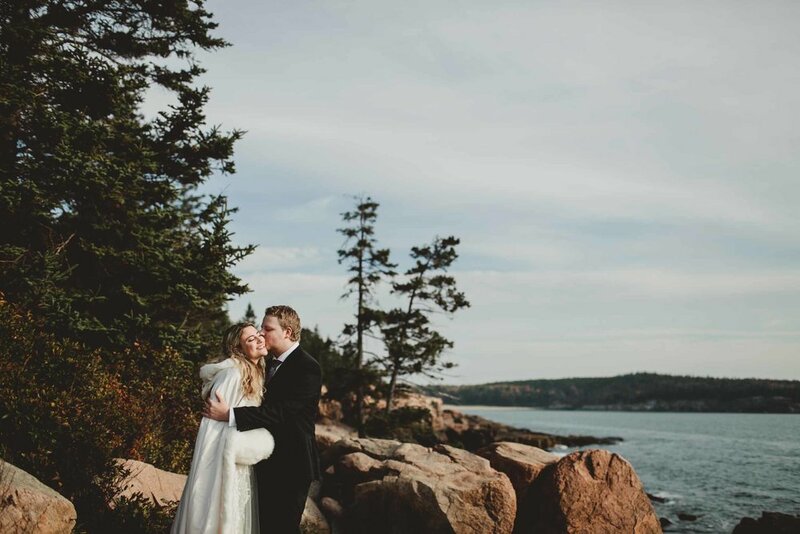 The poses weren't even my idea - I just went with it, while these two, the Acadia morning light, and that deliciously fresh autumn air made these some truly unforgettable moments together.